Stanford Advanced Materials (SAM) manufactures the best tungsten alloys to make the highest quality radiation shielding parts on the market. Radiation shields help a temperature sensor accurately measure air temperature without the effects of direct radiation. 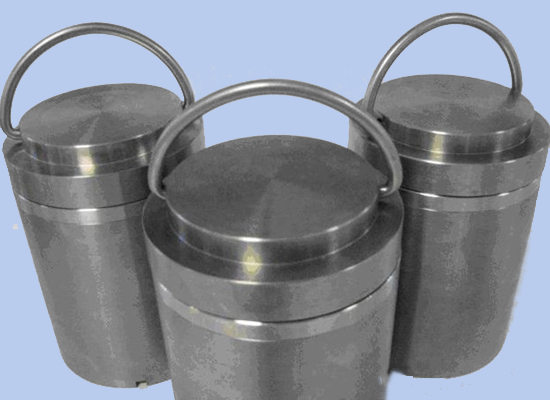 SAM’s radiation shielding parts are made from our high quality tungsten heavy alloys. Tungsten alloys are stable at high temperatures. You can use one-third less material than lead for the same energy-absorbing effectiveness. Radiation shielding can provide radiation protection for workers in the medical and nuclear industries. Our tungsten alloys are widely used for radioactive source containers, radiation shields, x-ray shielding and source holders for oil-well, logging, and industrial instrumentation. We also manufacture our tungsten alloys to make collimators and shielding for cancer therapy machines, and as syringe protection for radioactive injections. Our radiation shielding parts are clearly tagged and labeled externally to ensure efficient identification and quality control. Great care is taken to avoid any damage which might be caused during storage or transportation.